The Gel Holder is designed to hold colored gels in front of your flash to produce colored lighting in your photographs. Using colored gels to enhance your photos is very popular with the Stobist crowd and for anybody who wants to add a little color to their photos. The Gel Holder attaches to the flash/speedlite using Velcro and can accommodate a gel of up to 3x2. We now offer the Rosco Strobist Collection Gel Pack! This pack contains 55 colored gels of the most common colors used by Strobists. Check it out here! Purchase a Gel Holder with a Rosco Strobist Collection Gel Pack and save $$$. 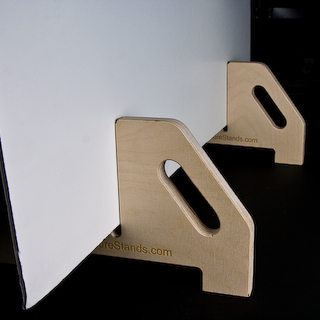 These Foam Core Stands can hold a piece of foam core vertically for use as a reflector or gobi. Two sizes are available to support both small foam core boards and large boards up to 4'x8'. 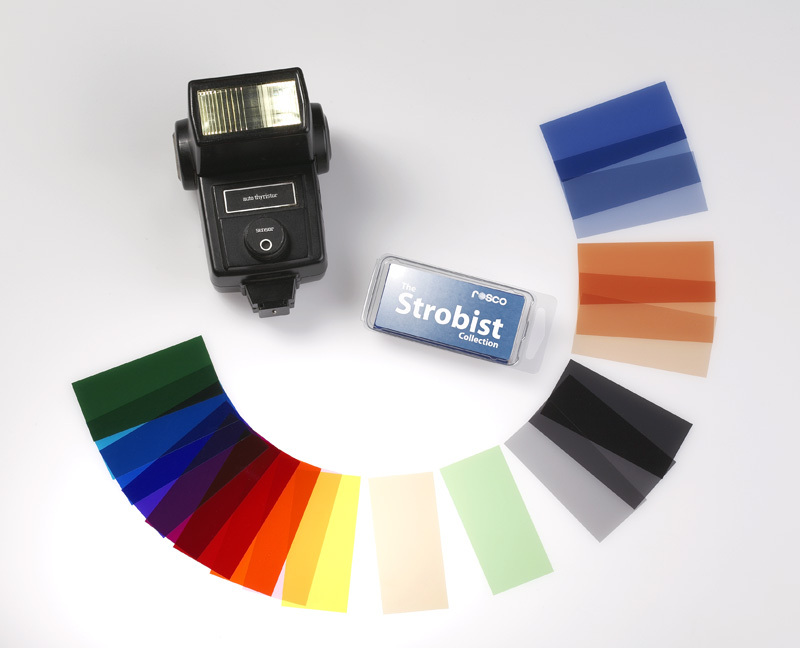 For details visit FoamCoreStands.com The Strobist Collection from Rosco contains 20 different colors of Cinegel Filters. These filters are 1.5" x 3.25" in size which is perfect for the Gel Holder.